I’ve spoken about Chigwell Holdings and Dragon Villa before on these pages, and their links to the elusive “Mr King”, aka Wang Yaohui. 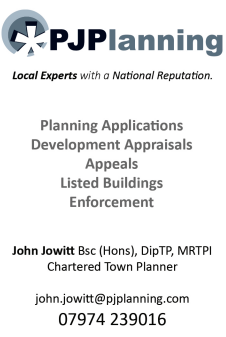 What I have found out today effectively proves that both companies are heavily interconnected – and that both also have substantial and provable connections to “Mr King”. The smallest shareholder (in shareholding terms) of the Faceless Four is based here in Hong Kong. Filings listed with both the Stock Exchange of Hong Kong and with the company registry here confirm that Chigwell Holdings Ltd are a Hong Kong registered company and are based at 802-804 Jardine House in Central. As I’m in the neighbourhood, I took some time out to go and visit their offices in an attempt to find out what I can about Chigwell Holdings and their registered owner Wang Lehai. Their office is in the central business district of Hong Kong Island, in a fairly exclusive office block. As I expected, Chigwell Holdings details aren’t given in the company directory inside the building. Chigwell are more than likely an investment company that is used as a vehicle to buy and sell shares, and I expected them to share an office with other companies owned by the same group of people. However, I didn’t quite expect to see what I did find. 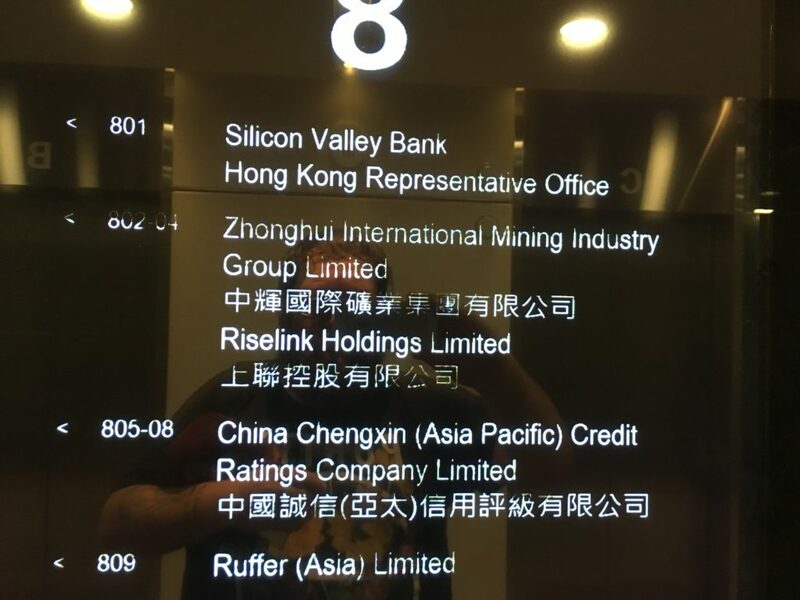 The companies listed at the address given were Zhonghua International Mining Industry Group Ltd and Riselink Holdings Ltd.
I’ve mentioned Riselink before on these pages. According to the Offshore Leaks Database, Riselink listed Chigwell Holdings’ registered owner Wang Lehai as a shareholder between March 2010 and January 2011, so it was not really a surprise to see Riselink based at the same address as Chigwell. 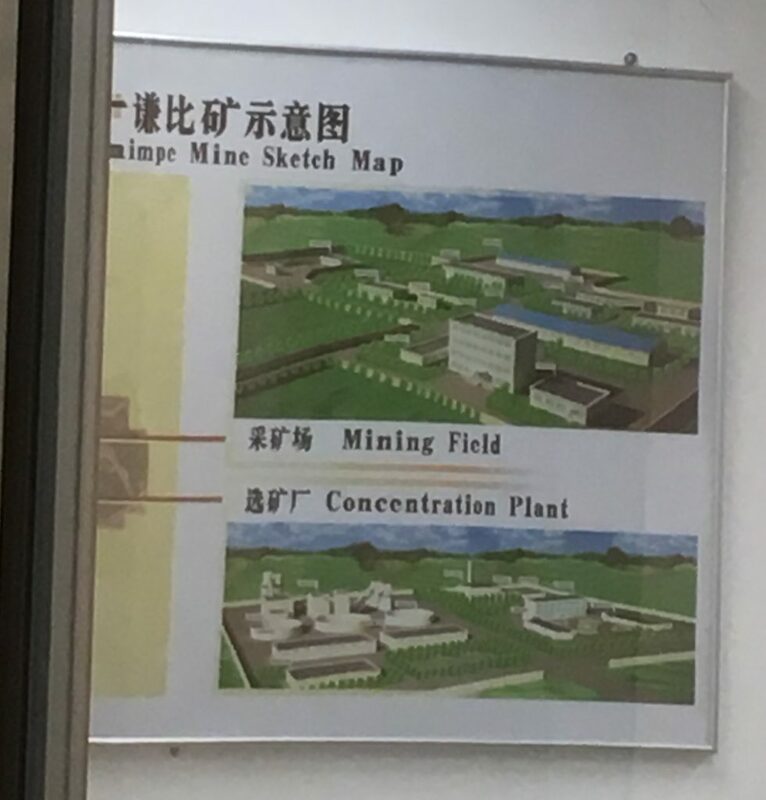 However, Zhonghui International Mining is a different story. I’ve read stories about this company online before and their links to Wang Yaohui, aka King. …Zhonghui Mining (Hong Kong) has invested 3.6 billion U.S. dollars in mining in Zambia in Africa. In 2010, it was approved by the National Development and Reform Commission to release bank loans. However, Zhonghui’s special mining right in the copper mine in Ichimpe is illegal according to local laws. Therefore, Zhonghui also served as an ambassador to bribe Zambia’s former mining minister to obtain the census license for the project. In addition to this, Wang Yaohui also ordered the construction of a dormitory for the police and the Ministry of Housing in Zambia. Interestingly the ex-minister mentioned in that report, Maxwell Mwale, was sentenced to two years in prison with hard labour in 2015, but he was freed in 2017 after he was acquitted in the Zambian Court of Appeal. 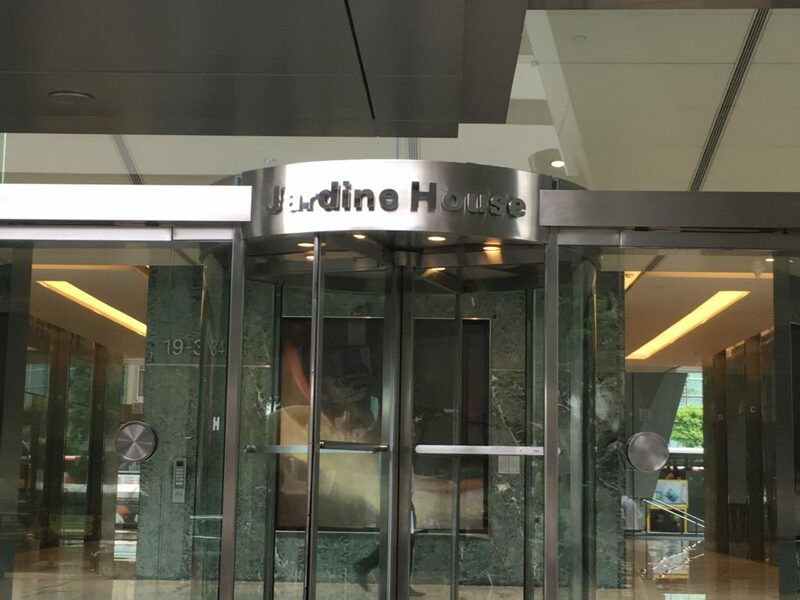 On arrival at the office on the eighth floor, it became evident that this mining company was the same one mentioned in the article. 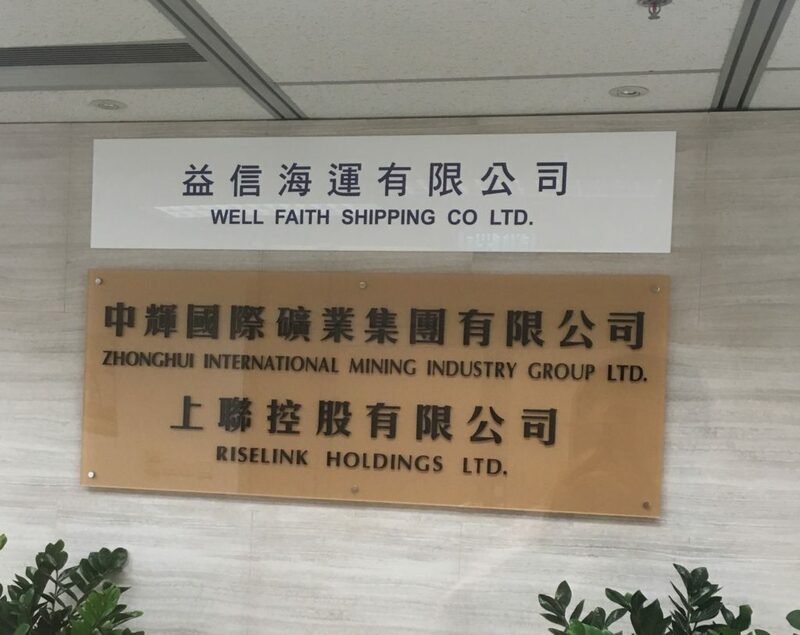 A large picture of the Ichimpe mine adorns one wall, while another company linked on the Offshore Leaks Database, Well Faith Shipping Co Ltd, also has its name above the door. Unfortunately, when I rang the buzzer to try to talk someone within, there was no response. There are also clear links between Chigwell Holdings and Dragon Villa Ltd. 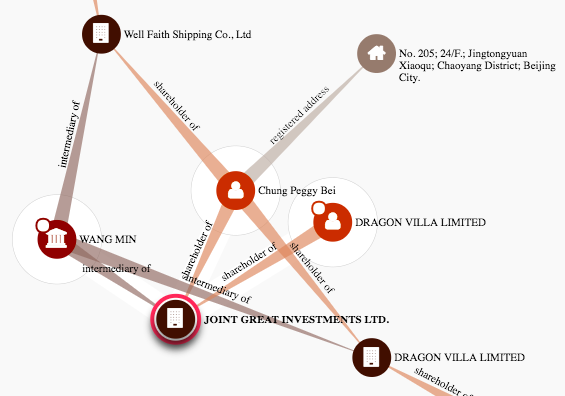 The Offshore Leaks Database connects one of the companies listed on the door – Well Faith – to Dragon Villa by a couple of common connections as is shown below. However, these links might seem a bit tenuous. 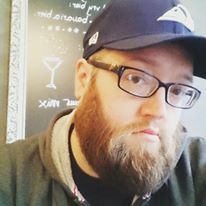 Some work looking through the Companies Registry here showed a deeper connection. This document filed with the HK company registry shows that until May 19, 2017 Chigwell Holdings listed as a director Lei Sutong. Lei Sutong is also the current registered owner of Dragon Villa. 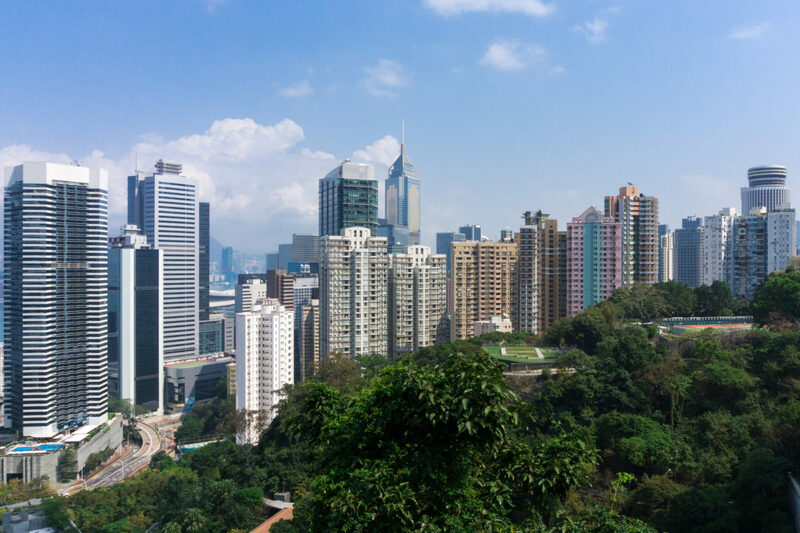 That raises questions as to whether Dragon Villa and Chigwell Holdings are acting in concert, and whether either BSH or the Stock Exchange of Hong Kong knew about the connection between the two. 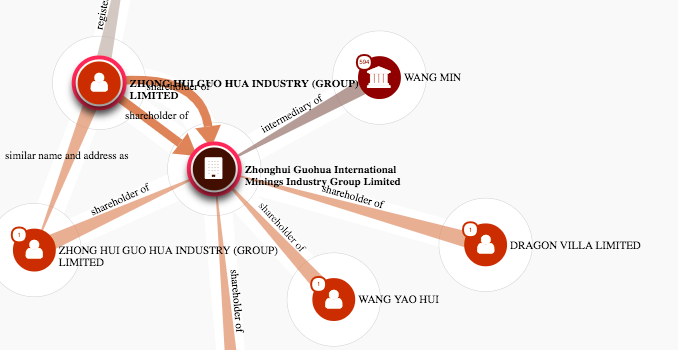 There are also links between Dragon Villa and Zhonghua Guohua International Minings Industry Group Ltd, a BVI company connected to Wang Yaohui. 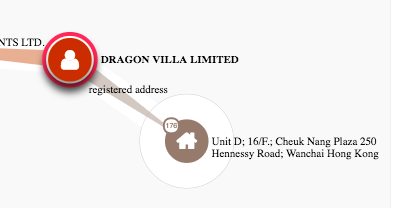 The Offshore Leaks Database gives a registered address for Dragon Villa in Hong Kong of Unit D, 16/F Cheung Nang Plaza, Hennessey Road, Wanchai. 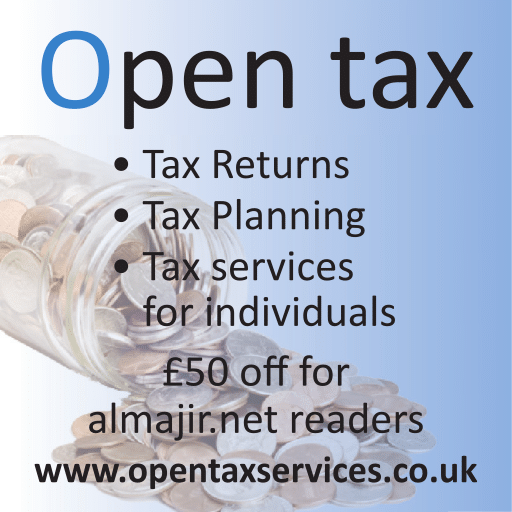 However, the papers where the Offshore Leaks Database derives its data from date from 2015 at the latest. On arrival at the address listed I was told that the whole 16th floor of that building had moved out a long time ago and no one was based there any more. The sheer number of interconnections between these companies as shown via the Offshore Leaks database and by visiting the offices only gives further confirmation to me that my belief that all these companies are connected and potentially controlled by Wang Yaohui. For those who are unfamiliar with Wang Yaohui, or who have forgotten who “Mr King” is, I first wrote about his connection with the club back in December of last year. There have been allegations of him fleeing China having been questioned over a bribe-for-loans scandal which saw Agricultural Bank of China’s former vice-president Yang Kun jailed for life in 2015. As I stated in my previous piece, Wang Yaohui was taken in for questioning due to investigations finding he had lost at least 3 billion RMB at a Macau Casino. There has also been questions over Wang’s involvement with the purchases of artwork amid accusations of non-payment and worse. From speaking to sources here in Hong Kong, it is clear that people are aware of Wang Yaohui is and are unimpressed with his credibility due to the scandals connected with him. I’ve long held that Paul Suen Cho-hung is not in it for the long term with BSH. The steady growth of investment from outsiders without any counter purchase of shares has shown that Suen is not worried about his BSH investment being diluted. The amount of money loaned to BSH and then subsequently converted to equity would indicate that Dragon Villa are a probable candidate for the next owners of the holding company. There are clear connections between Dragon Villa and Chigwell Holdings which suggest these two companies are potentially shareholders working in concert. 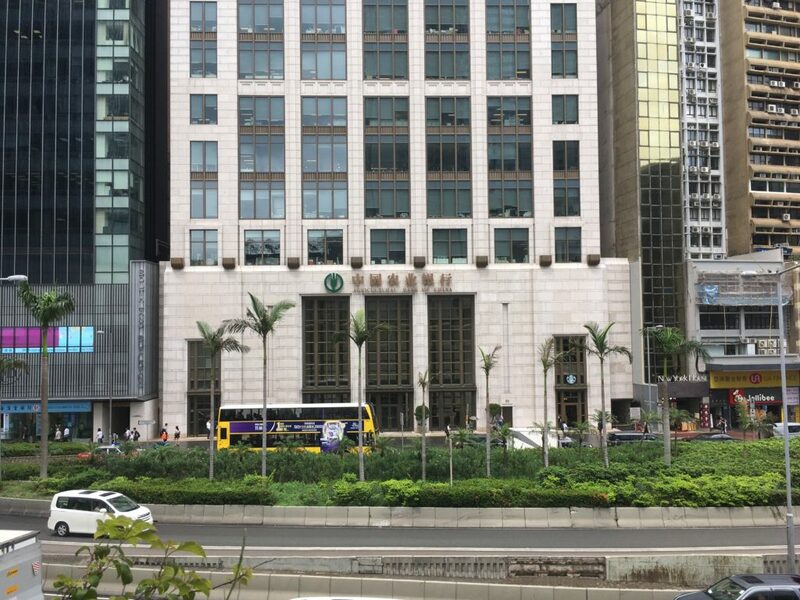 There are clear connections between Chigwell Holdings and Wang Yaohui aka “Mr King”, as both operate companies out of the same office. There appear to be clear connections between Dragon Villa and Wang Yaohui via ownership in the same mining concern. While his name might not ever appear on any official paperwork, it seems obvious to me who the next real owner of Birmingham Sports Holdings (and thus BCFC) will be. The only question is when that transfer of ownership will take place. From speaking to sources here, I do not believe it will be before the end of the 2018 / 2019 season.